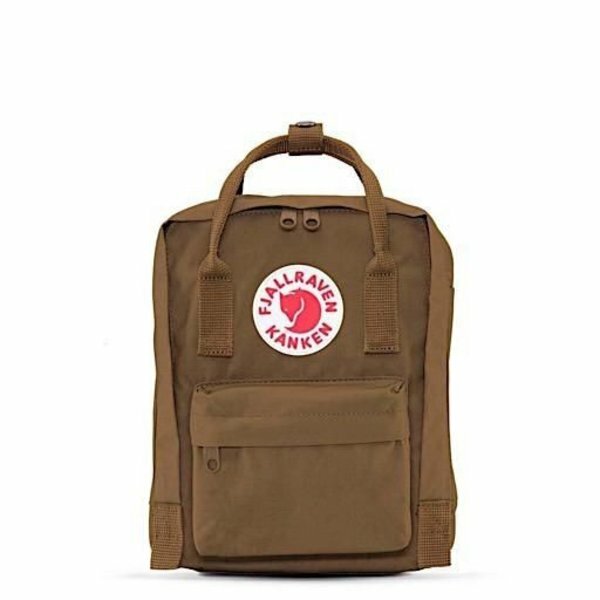 A miniature version of the famous Fjallraven Kanken, perfect for little one’s first backpack or as a smaller option for adults! Fjallraven began making this simple, sturdy backpack for Swedish schoolchildren in 1978 and it became a fast classic. Made from the same durable, lightweight, and moisture-repellent vinylon, the Mini has adjustable straps small enough for little shoulders. Zip closure. Features a front zipper pocket and two side pockets.